TheArmenianKitchen.com : With a Kalajian family wedding right around the corner, it’s time for us to serve Harsness Abour (Bride’s Soup)! With a Kalajian family wedding right around the corner, it’s time for us to serve Harsness Abour (Bride’s Soup)! 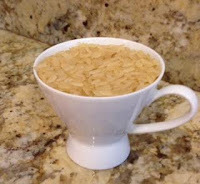 Lucine Kasbarian was scrolling through the recipe lists on The Armenian Kitchen website to see if there was a recipe for Harsness Abour (Bride’s Soup). When she didn’t find one, she was kind enough to offer me her family’s recipe. The recipe (seen above) is from her maternal grandmother, Armaveni Ghazarian-Hamparian. The measurements provided in her recipe were in the traditional format, atchkee-chop, meaning ingredients were measured by eye (or by memory), since formally written recipes were unheard of. 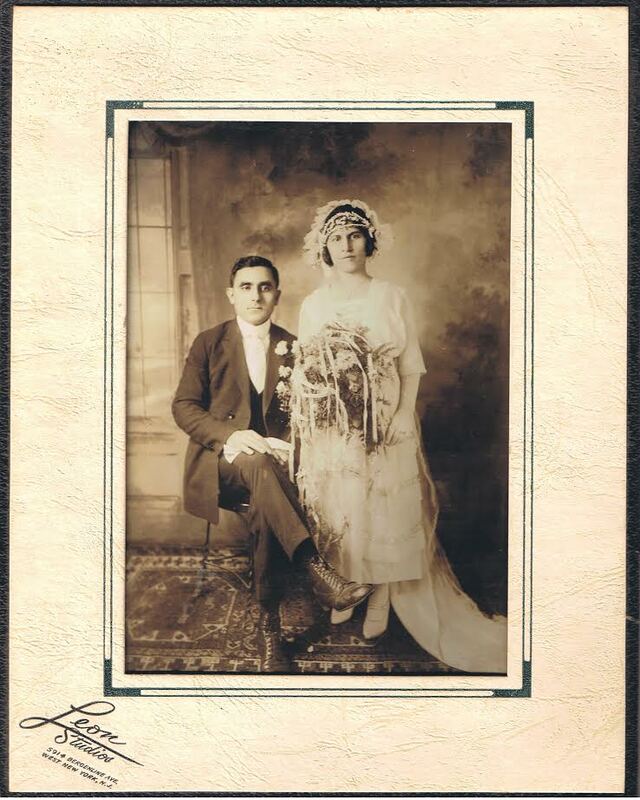 Before I get into the recipe, I’d like to share Lucine’s grandmother’s story with you. 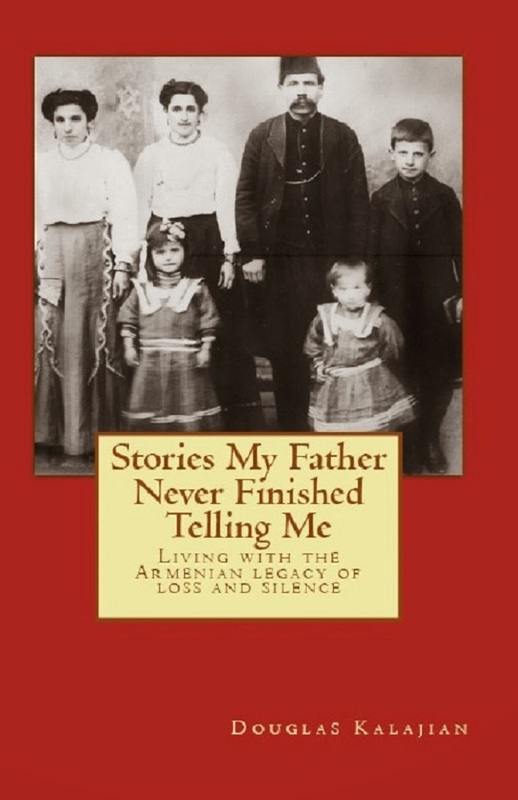 Like so many stories from the Armenian genocide, hers is a story of survival. “My maternal grandmother, Armaveni Ghazarian (married name Hamparian), was originally from the city of Sepastia in the province of Sepastia. Like so many of our ancestors, she and her family members were driven from their Armenian homeland within the Ottoman Empire into the Syrian Desert of Der Zor during the 1915 Genocide. Without making light of the ordeals that she and her compatriots went through by cutting things short, I will just say that Armaveni, at age 15, witnessed her cousin driven insane by what he observed on the death marches, and that Armaveni watched her own mother starve to death, burying her mother’s body in the desert with her own hands. Armaveni was taken into a Protestant orphanage where she was taught the domestic arts. Eventually, relatives would raise boat fare for her to come to America. 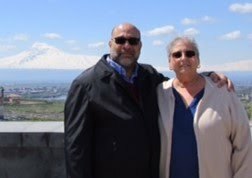 A parish priest at St. Illuminator’s Armenian Cathedral in New York introduced her to a compatriot from Sepastia, Hampartsoom Hampartsoomian (later shortened to Hamparian). He had been made a widower as a result of the Genocide. Armaveni and Hampartsoom soon married and produced three children: Nishan, Ardashes and Aghavni…my mother. In a 6-quart pot, boil together the beef broth, water and salt. 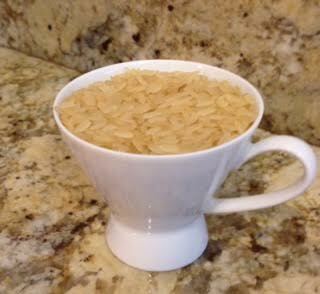 My Armenian coffee cup measured 1/2 cup rice for this recipe. Add the rice, cooked ground lamb, and tomato sauce. Reduce heat, cover, and cook about 20 minutes, or until the rice is softened. Heat the oil in a skillet over medium-low heat. Add the chopped onions and sauté, stirring constantly, until they begin to turn golden, but not burned. Stir in crushed mint. When the onion mixture is done, add it to the soup and stir until blended. 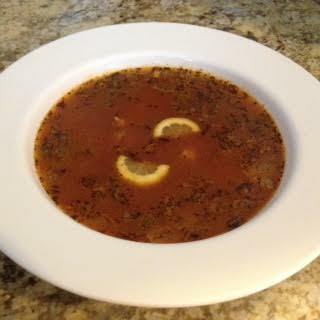 When serving, add a touch of lemon juice to give the soup a bright note! OMG, these sound absolutely delightful! I love soup, so will make these lickety-split! Please DO keep these Armenian dishes-a-comin'!